Poppy is a beautifully correct yearling! I love so many things about her and I an so looking forward to seeing her freshen next year. 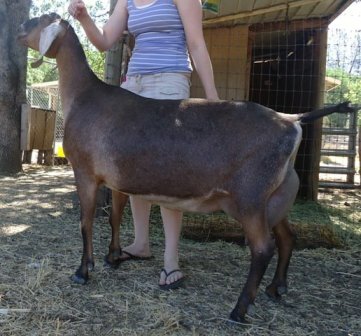 She has a wonderful topline, rump, legs/feet, and looong ears. 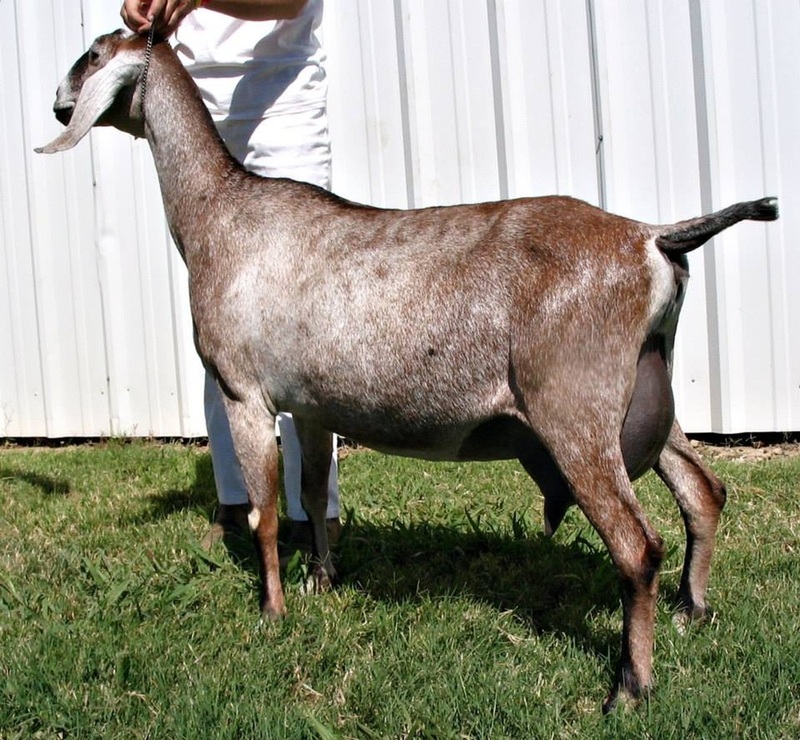 She is nearly identical in appearance to her dam, who (2013) is milking 11-12 lbs/day as a 3 yr old 2nd freshener. 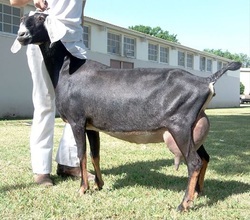 Her dam Sapphire might be one of my favorite Nubian does. 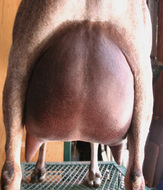 I love her overall appearance, and then there's that splendid udder! I imagine combining that with Poppy's sire's milking lines is going to be nothing short of amazing. Poppy has fantastic breed character and a beautifully fun-loving personality to go with it. She has a curious nature and loves being with people. Thank you for a lovely doeling, Courtney! Update 2/2013: I recently tested Poppy for G6S and she came back as a carrier. Her future kids will be tested to determine G6S status. 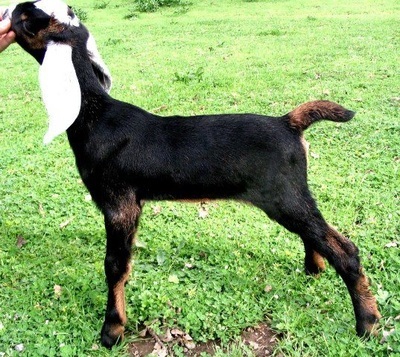 Carrier buck kids will be wethered, and buyers can decide on carrier or normal doe kids. Update 7/2015: Poppy freshened this year with beautiful twins and a beautiful udder. Her doeling is retained. Poppy was started on official DHIR milk testing this year and it milking well, but saves a lot back for her babies and won't let it all down for me! I am looking forward to seeing her with another freshening. Update 12/2015: Poppy battled a case of meningeal worm this fall and, while she is recovering beautifully, I have decided to milk her through this year and hold off breeding for another year so her hind legs can heal more. 2016: Poppy was milked through after battling m-worm the previous fall. 2017: August was an incredibly difficult month as I had to make the tough decision to put Poppy to sleep. 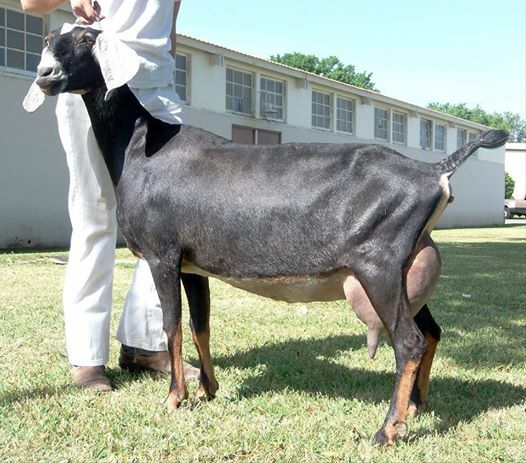 She had a very difficult kidding; her beautiful twins sired by Malachi died during delivery and Poppy's uterus ruptured. Sweet Poppy will always hold a very special place in my heart as the goat that started it all. Her loss has been difficult to bear. I am even more bummed that I never got an updated picture of her to show how lovely she had matured and what a beautiful doe she had turned into. Her legacy lives on in her one daughter LOSA Acres Walk By Faith. 2015: First Freshening. 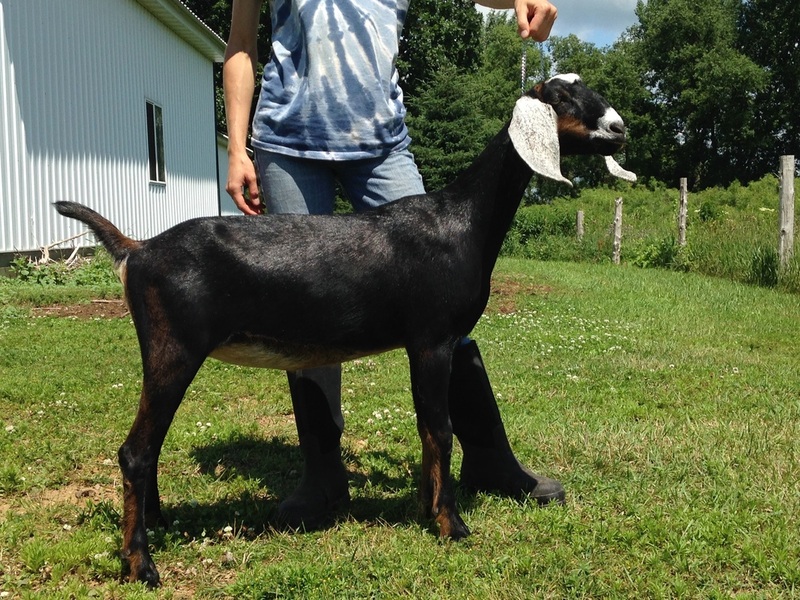 B/D twins sired by *B Blissberry Walk of Fame. 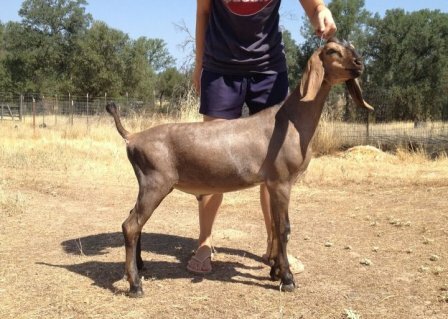 Doeling retained-LOSA ACRES WALK BY FAITH.